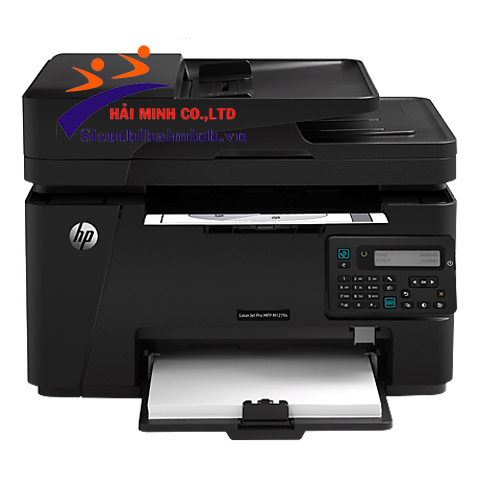 - Print and copy speed of up to 21 ppm, 1200 dpi effective output quality, 128 MB RAM, 600 MHz processor. - Scan 7 ppm (B&W), 5 ppm ( color ). - Copy : up to 99 copies, phóng 25% - 400%, fax : 3 sec/page, Hi-Speed USB 2.0 connectivity, 33.6 kbps faxing, integrated phone handset. - Ethernet 10/100, RJ-11 & RJ45, 30 sheet automatic document feeder, 8000 pages / dutycycle, HP ePrint, Apple AirPrint™, Mobile Apps. - Use toner CF283A ( HP 83A ) ( 1500 page ).